How do I view my loan balance in Online Banking? In online banking when you are in the Account Summary screen under the Loans and Credit Cards section, you can view your loan balance on the right-hand side of the screen. See image below as an example. You can also see more details about your loan by clicking on the account to view the detail page. 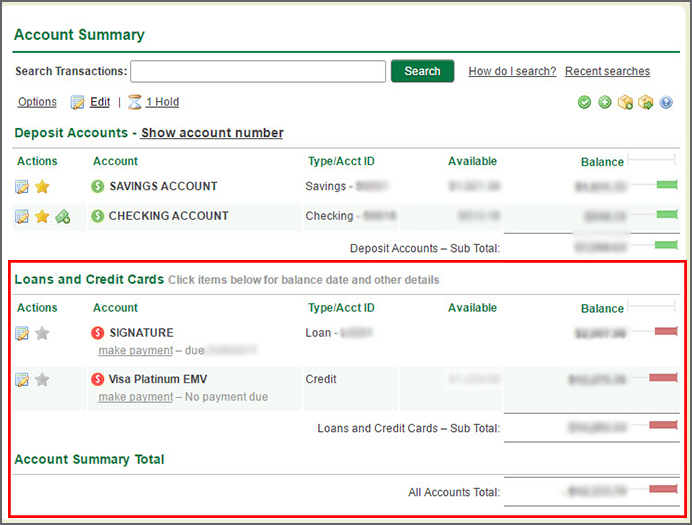 The image below shows an example of the Account Detail page for a loan.